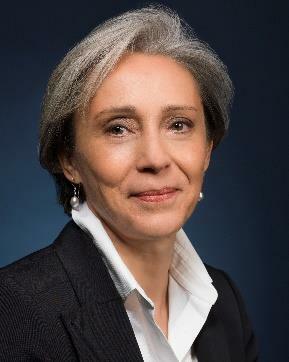 Helene Peyro-Saint-Paul is an MD with a specialization in Neurology and holds an Executive MBA (ESSEC, France). Helene has built a significant track record in the international development, regulatory approval and launch of innovative drugs and devices at Serono, Actelion, Ipsogen and QIAGEN. As Chief Medical Officer at Ipsogen then QIAGEN Oncology, she has coordinated the project leading to the FDA 510k de novo clearance of a molecular diagnostic test in leukemia. Throughout her corporate leadership positions, Helene has also developed a solid expertise in strategic marketing, market access, pharmacoeconomy and corporate development as a cofounder of HalioDx. Helene is a business angel and an advisor or Strategic Committee member for 2 health-tech start-ups. Her fields of medical expertise are neurology, rare diseases, genomics and oncology. D is a clinical research professional with more than 25 years industry experience. She obtained her PhD in Biophysics at King’s College London. She has held European management positions in Clinical or Regulatory Affairs at Alcon, Boston Scientific, and CERC before founding a clinical research personnal company in 2010. D equally headed Clinical Affairs departments as Transitional Manager for reputed European medicinal companies. She has also participated to the works of the ISO14155 revision committee at AFNOR standards organization and has been a member of the French government Economic and Social Council. D is an expert to the European Commission since 2012 in the evaluation of Health projects and a member of the Board of EFGCP (European Forum for Good Clinical Practice). D acts an Expert for LallianSe since 2017.